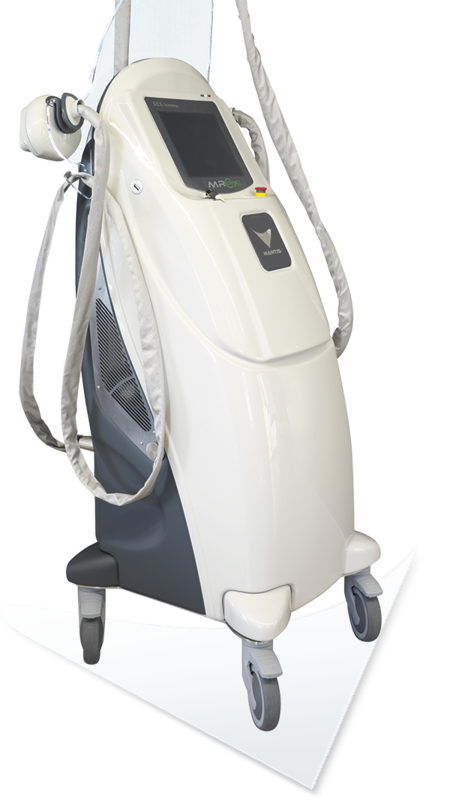 MR Compact: the compact device for body treatments that ensures maximum efficiency and the highest performance. 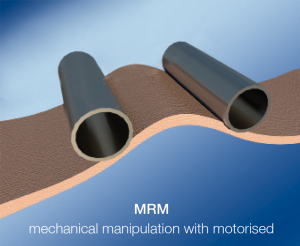 MR Compact is based on two state-of-the-art technologies: MRM (mechanical manipulation with motorised rollers) endomassage and CMPS (pulsed magnetic fields with stochastic resonance), which work synergistically to obtain unmatched results demonstrated by numerous clinical trials. The ultimate body shaping treatment. Wellness for your body, spirit, and mind. The alternative for restoring physiological conditions. Research and clinical trials have demonstrated MR Compact’s effectiveness. Its exclusive CMPS technology acts on the remote causes of cell suffering and on blemishes simultaneously. It reduces muscle and joint pain and attenuates the inflammatory process. It improves skin texture and reshapes the body contour. It also has a psychological effect, as it helps restore an emotional balance by reducing stress and increasing concentration, thereby providing a sense of wellbeing that improves the quality of life. Where does MR Compact act? It acts on cells by accelerating connective tissue and muscle regeneration for aesthetic and therapeutic purposes. MRM (mechanical manipulation with motorised rollers) and CMPS (pulsed magnetic fields with stochastic resonance) to combat blemishes and many inflammatory disorders in a non-invasive way. 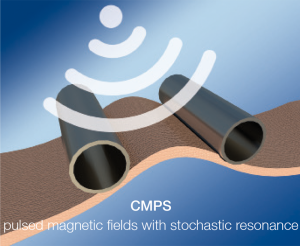 CMPS exploits extremely low frequency pulsed magnetic fields and causes the cell structures to interact, thereby promoting the restoration of physiological conditions. Tissues treated with this technology show an increase in blood flow and fibroblast proliferation. This provides a considerable tissue toning and firming effect ensuring stable results. MRM allows the exact reproduction of a manual massage but deeper and more accurate. This is possible thanks to the synergy between the two bi-directional motorised rollers and pulsed suction, both managed by a specific program created by Mantis. Experiments have demonstrated that the parts treated with this technology show an increased blood flow, which increases oxygen exchange in tissues and drains all toxic substances and waste. Two exclusive ergonomic handpieces designed to treat different parts of the body. The handpiece features bi-directional motorised rollers, which generate a pulsed suction system combined with a CMPS system for a precise, quick, and effective action. The handpiece features a special CMPS system suitable for shock therapies. The use of the custom cream allows for an in-depth action, thanks to the CMPS effect on the dermis. The slimming, toning, and firming effect is visible already after the first few sessions and is extended over time. MR Compact is extremely user-friendly, thanks to its touch screen, which displays the machine’s activation paths and application protocols. Magnetic Cream Activer is an anti cellulite reducing cream with a draining and firming effect. It stimulates collagen production and makes the tissues firmer with visible results. Its exclusive ion-based formula and CMPS technology allow the active ingredients to penetrate deeper down and ensure superior effectiveness compared to cosmetics applied the traditional way.